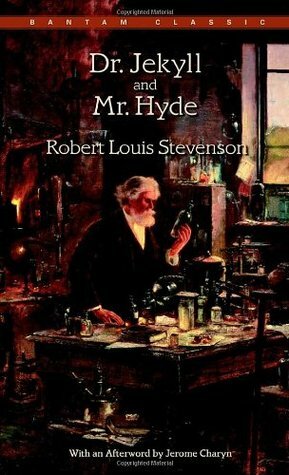 **Jekyll and Hyde is a classic, well-known story that has been in circulation for many, many years. But just in case someone doesn't actually know the story, I'm inserting a SPOILER TAG, because I DO mention some reveals at the end of the book. A couple years ago I finally decided to crack open my big Borders Classic leather bound Classics of Horror volume. 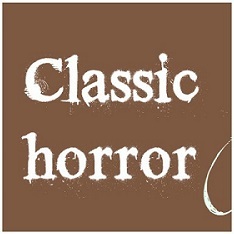 The tome includes three horror classics, very well known to pretty much everyone: Dracula, Frankenstein, and Dr. Jekyll and Mr. Hyde. I bought this tome almost ten plus years ago around the time I graduated from high school. And now I've finally finished all three stories in it--although Dracula was actually a reread by audio book, but whatevs. Jekyll and Hyde is a very popular classic that I've always known about since I was a child. There have been endless parodies on television, and several other references to it in many other literary works. And because of this, it makes me wonder if my experience reading this short story might have been a bit different if I didn't already know the story's main premise--the strange mystery surrounding Dr. Jekyll and Mr. Hyde. The secret reveals and the horror of them just don't seem as emphasized when you already know what's going on. That, and much like my read of Frankenstein, I found the characters to be a bit over-dramatic about everything they learn about. You know, like people seem to faint a lot during those times, or something. Nonetheless, the story was an overall enjoyable one. The writing is excellent and to-the-point. On a side note, my impression is that the true horror of the story isn't the strange secret that Dr. Jekyll and Mr. Hyde are hiding. The true horror, to me, actually lays in the very last chapter of the story detailing Dr. Jekyll's confession statement--that it wasn't simply a scientific experiment, but rather an addictive freedom that made him continue on with his transformations. The true insight was his own pleasure in seeing that Mr. Hyde had the freedom to do as he pleased just because this particular individual never truly existed. And so he allowed Mr. Hyde to commit evils and do things that, Dr. Jekyll, himself, would have never imagined he'd ever do. And he seemed to revel in that kind of freedom. I've never read any deep analytical discussions about this book, but I imagine something alone the lines of the duality of human nature would be mentioned. Or the fact that all humans have the tendency towards evil. Of course, this entire time during the short story, we really don't know what all evil acts Mr. Hyde had been up to for so long outside of trampling over a child and bludgeoning a man to death. Though I'm not saying that's not enough evil acts to make Mr. Hyde a terrible person. I'm just curious about what other malevolent deeds he'd been off doing every night that had Dr. Jekyll so giddy with glee.